Made in Canada by a family business. If you love the look and feel of wood, and appreciate the craftsmanship of good solid furniture, we make furniture that you can be proud of. Vokes furniture is still handmade. 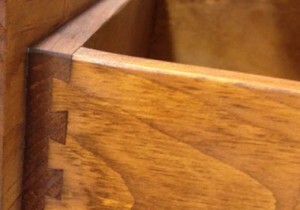 Our drawers have dovetailed corners and deep, glued, inset bottoms, cabinet backs are inset as well. We use raised panel doors and “spaceballs” in the panels so that they won’t rattle or split. 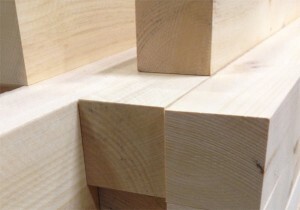 Solid Pine, Maple or Wormy Maple construction throughout. The grain of each piece shows it’s own natural characteristic beauty. Hand sanded and hand sprayed with attention to detail. Self penetrating stain with a high solid lacquer coating. 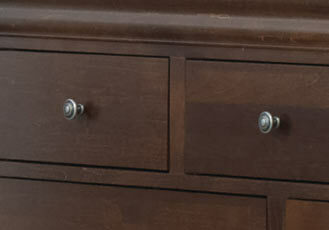 Post-catalyzed lacquers provide a beautiful and durable finish. There is an old saying: Don’t buy the cheapest, but don’t buy the most expensive either. Buy quality and you will never regret it a day of your life. We don’t cut corners on quality, so we have to keep costs down some other way. The secret? We’re a well oiled machine. The whole team is always looking to improve efficiency and be smarter about how we build. We’ve gone Lean. Lean manufacturing has allowed us to reduce waste, provide real jobs and ensure quality, day after day. We’re working Smarter, and getting better all the time. We even won an award for it! 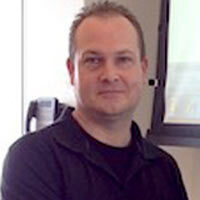 Mike Vokes was the recipient of the 2013 Wood Manufacturing Council Award for Innovation in Human Resources. 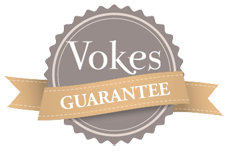 At Vokes, we take careful measures to ensure qualiy, and we back it up with our Vokes Guarantee.